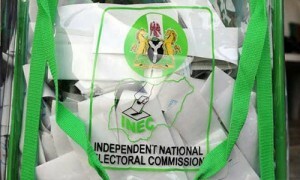 The All Progressives Congress has reportedly won the council election held in all the 20 Local Government Areas and the 37 Local Council Development Areas on Saturday, according to reports coming in from the polling units. Early results released by the Lagos Televisionshowed that the APC took several LGAs and LCDAs including Ojokoro, Eti Osa, Lagos Island, Badagry Central, Onigbongbo, Odiolowo/Ojuwoye, Ikorodu West, Ejigbo, Ikeja, Ikorodu, Epe, Lagos Island East, Badagry West, Surulere, Ikorodu Central, Ikoyi/Obalende, Agboyi-Ketu, Eredo and others. Some of the results from the LGs and LCDAs showed the ruling party winning. In Lagos Island LG, APC won with 14,692 votes while PDP got 925 votes, with the Labour Party taking third place with 1211 votes. APC also won in Ikoyi-Obalende LCDA with 7112 votes, PDP got 756 votes while LP got 542 votes. In Eredo LCDA, APC received 10910 votes while PDP got 737 votes. The victory continued for the ruling party in Epe LG with the APC getting 21401 votes and LP getting 948 votes. APC emerged victorious in Lagos Island East LCDA with 9060 votes while PDP got 1128 votes. In Badagry West, APC swept the LCDA with 5300 votes leaving PDP with 935 votes. Similarly, in Ejigbo LCDA, APC won 4876 votes while PDP won 1079 votes. In Ikeja LG, APC got 6191 votes while PDP won 990 votes. APC won Ikorodu West LCDA with 3068 votes while PDP got 555 votes. In Agboyi-Ketu LCDA, APC got 10,701 votes, while PDP got 1,759 votes. Other results were being awaited as of the time the paper went to bed. The APC had earlier won both the chairmanship and councillorship elections in Ward A6, Polling Unit 033 located in Ogunmodede College, Papa Epe, where the State Governor, Mr. Akinwunmi Ambode voted. At the end of counting of the votes cast, the results showed that the APC polled a total of 299 votes for the chairmanship election as against one polled by the Labour Party and zero vote polled respectively by the Peoples’ Democratic Party and Accord Party. For the councillorship election in the unit, the APC polled a total of 293 votes as against one polled by Labour Party and zero polled by PDP. In the second polling unit in the ward, APC polled 298 votes for the chairmanship election as against zero vote polled by the PDP and Labour Party. Ambode, on Saturday said local government elections would engender participatory governance and revive belief in the electoral process at the third tier of government. Ambode noted that the election in Lagos State came six years after the last one was conducted. “I am happy that this election is coming at my own time. The whole idea is for us to evolve a process where the citizens come out and believe in a process that is credible. When the people see credible election at the local government level, they will be excited to participate because they know that it is credible, peaceful and without violence. That is what we have been preaching. Lagos is too cosmopolitan for us not to have a credible election. He said adequate security measures had been put in place to ensure that voters cast their votes in a peaceful atmosphere and forestall any breakdown of law and order. “So far, so good, from the reports I have received from all the other parts of Lagos State, we are pleased with what is going on. I believe strongly that it will be peaceful throughout,” Ambode added. Also speaking, the All Progressives Congress’ chief, who is also the Balogun of Epe, Chief Lanre Razak, said the party believed in strengthening democracy, adding that the conduct of the election would develop the political process. The member of the Lagos State House of Assembly representing Epe Constituency II, Segun Olulade, who cast his vote at the RCM Primary School, Ejinrin, Epe, commended Lagosians for coming out to vote despite the downpour. He noted that the people’s participation in the election would deepen democratic values. 0 Response to "APC wins Lagos LG Election (See More Details)"